This is my all time favourite starter I always have when I go to Zizzis. 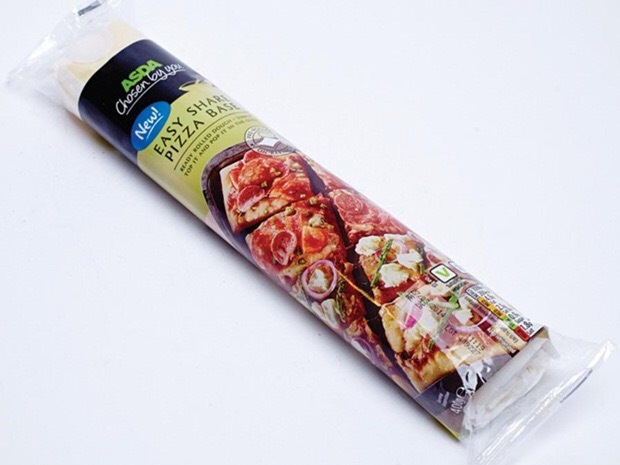 It’s super easy to make and if you don’t fancy or don’t have the time to make your own pizza dough ASDA is coming to rescue!! 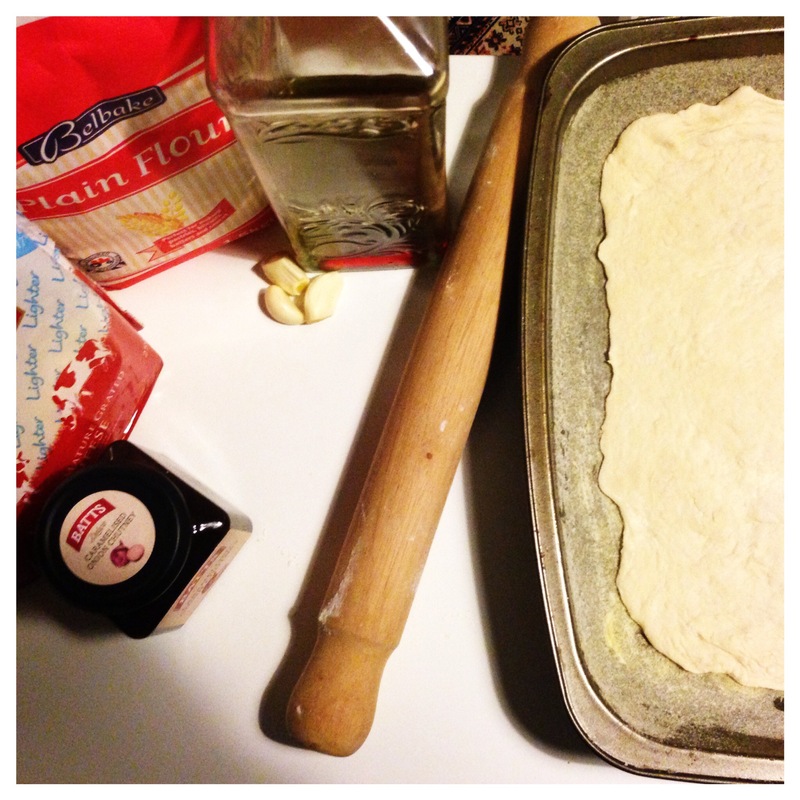 For a £1 you can take home ready to roll pizza dough. To make this particular recipe you have to cut it in a half and hand stretch it as it has to be quite thin. So a little bit more about this recipe. You don’t need to much cheese as this should be just enough to accompany the chutney and garlic. In Zizzis they use buffalo mozzarella but it makes it a little bit too wet so I used cheddar instead. Another secret to achieving this grainy texture is semolina. I suppose the reason why Dominoe’s pizza tastes so good is nothing else but Semolina!!! It’s not very easy to find the only place I have found it was in Waitrose and it cost only £1 for 500g bag. Do not make the same mistake as I did and use Bird’s semolina that you can get in the pudding isle of your supermarket. It is sweetened even though packaging suggests to use it for roast potatoes I suggest go plain! So the lazy ones use the ready to roll pizza base and scroll down to step 5 (and yes it will change your life and make you unstoppable in your pizza creations). 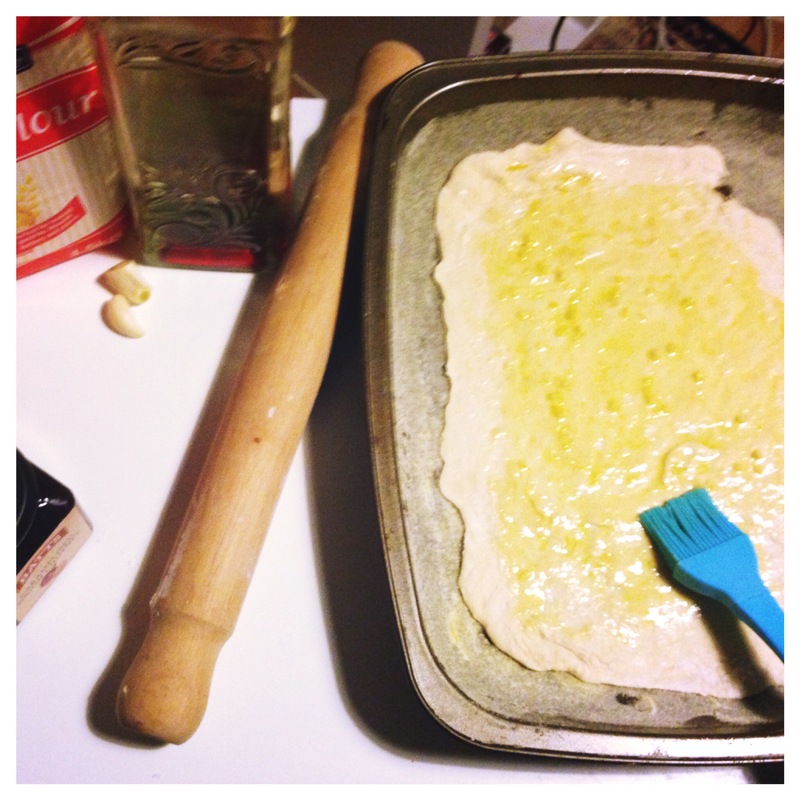 For the not so lazy ones there is an easy pizza dough recipe below it makes 2 pizza breads. 1. 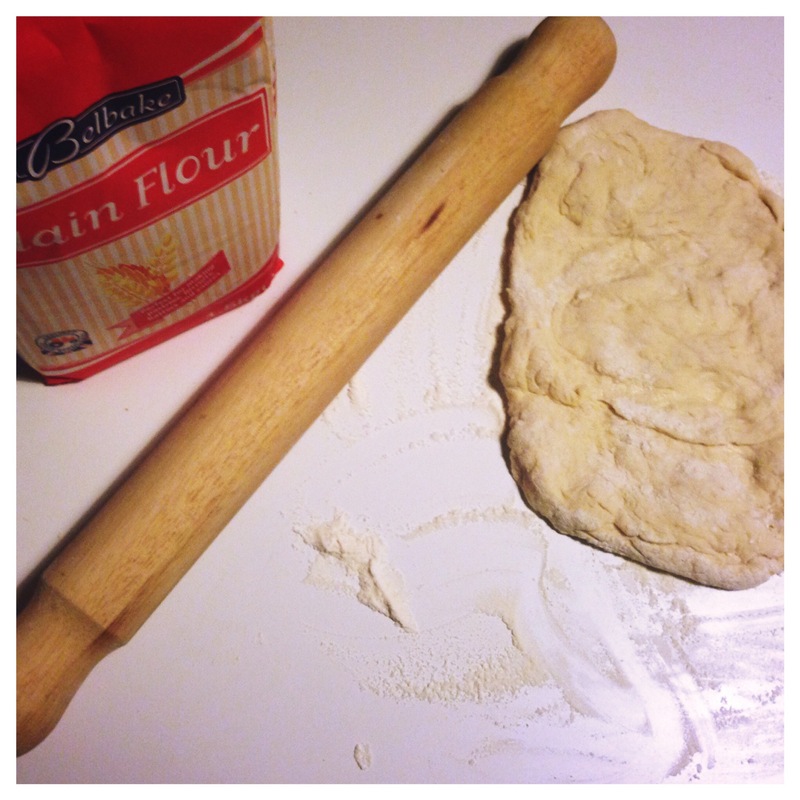 Combine flour, salt, sugar and dried yeast in a bowl. In a separate container mix oil and warm water. 2. Make a well in the middle of the dry mix and add water. 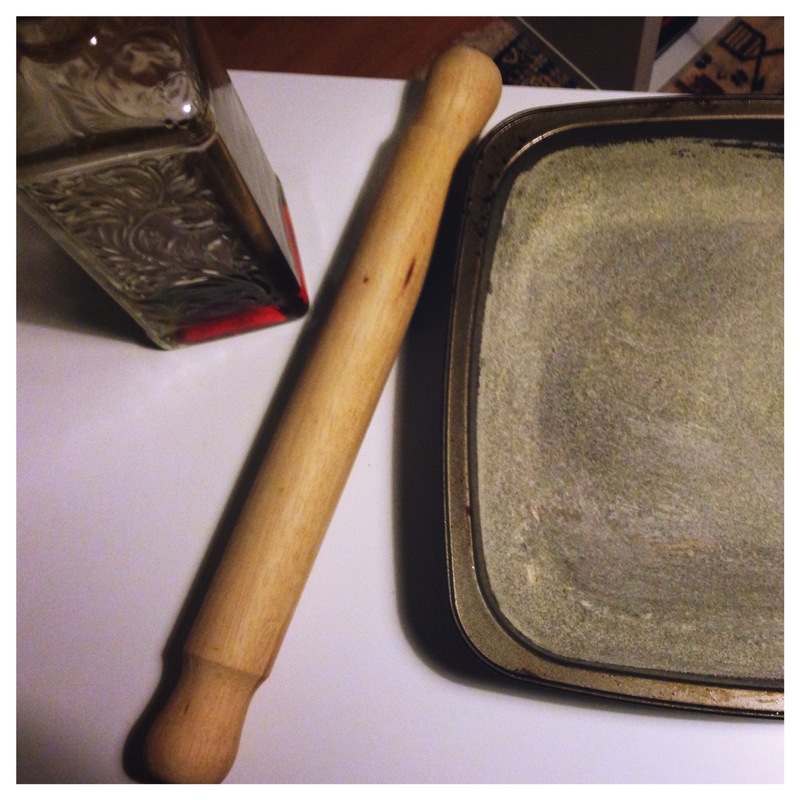 Start slowly mixing with a fork or a small whisk. 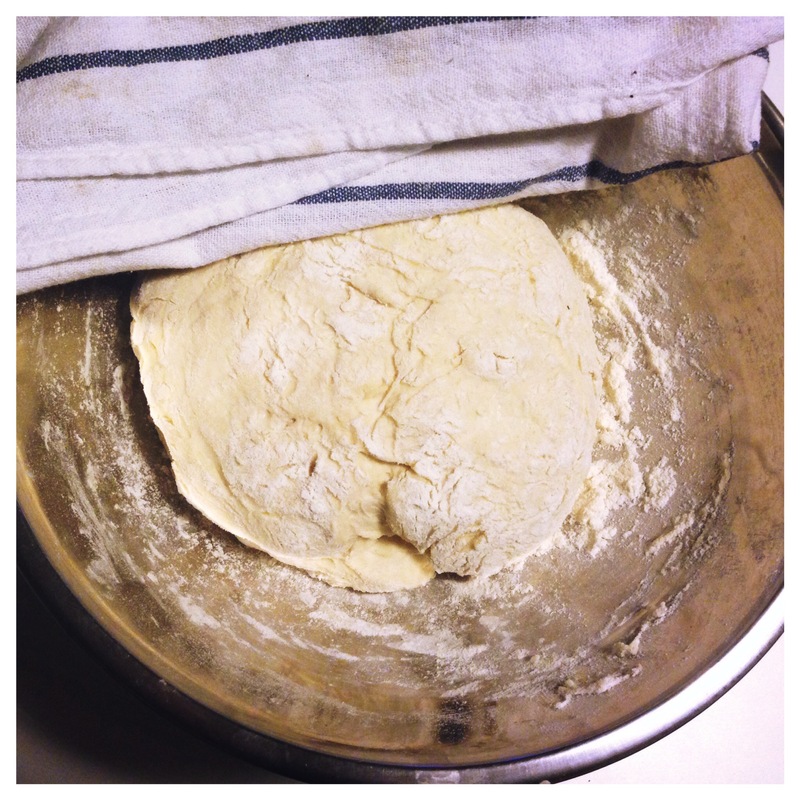 When you see that the dough starts becoming together you can start working it with your floured hands. 4. Cut into two and roll out in a floured surface. 8. 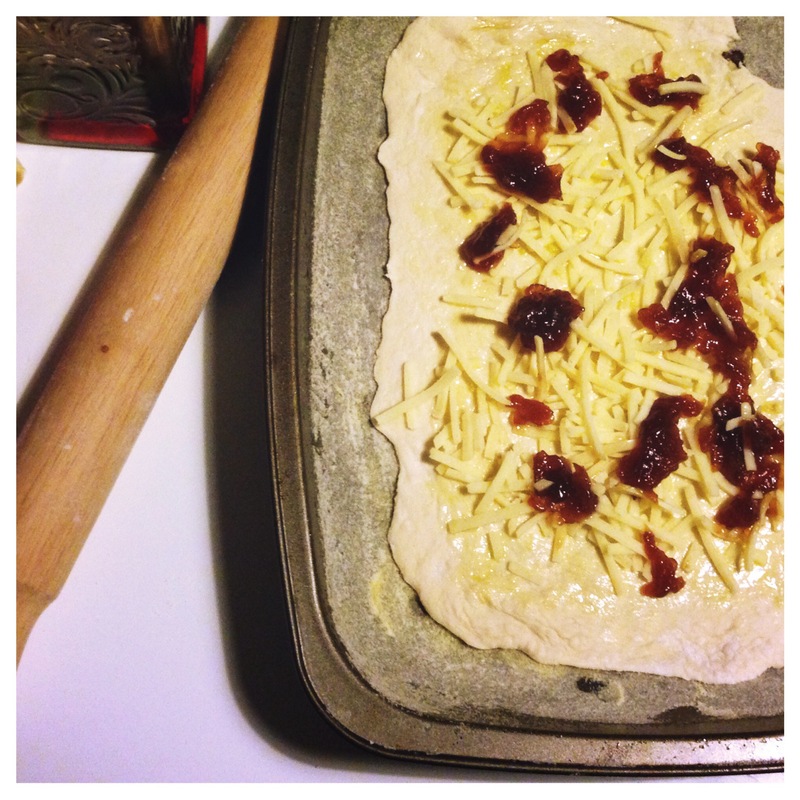 Add cheese and dot the chutney and bake in the oven for 10 to 12 minutes in 200 C.
9. 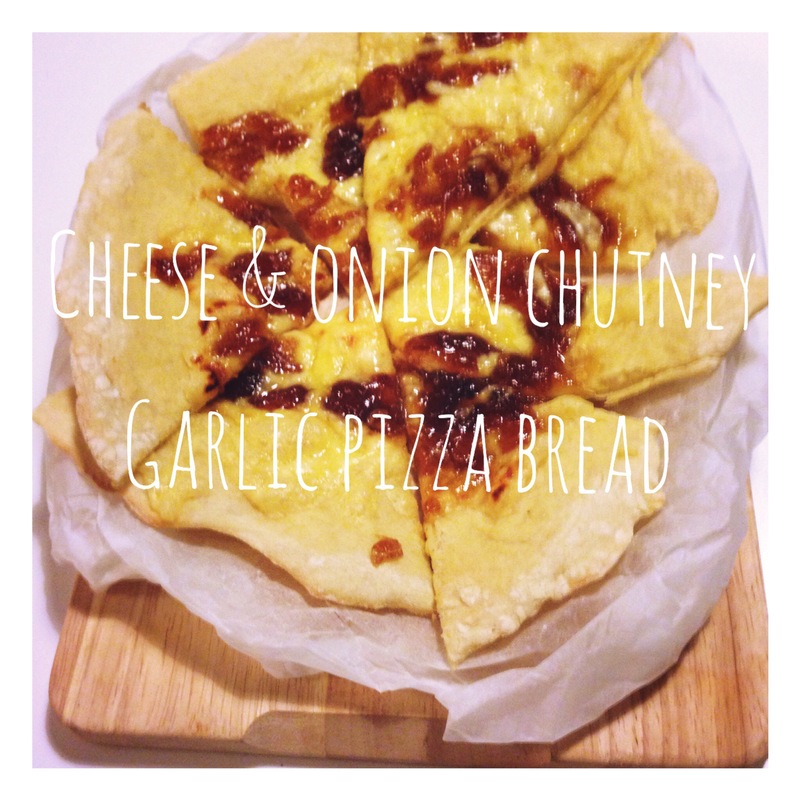 Cut into uneven slices and serve on a wooden board with a bit of baking paper. Tried it today… Works really well whole family was impressed and excited to try something different! Nice one! 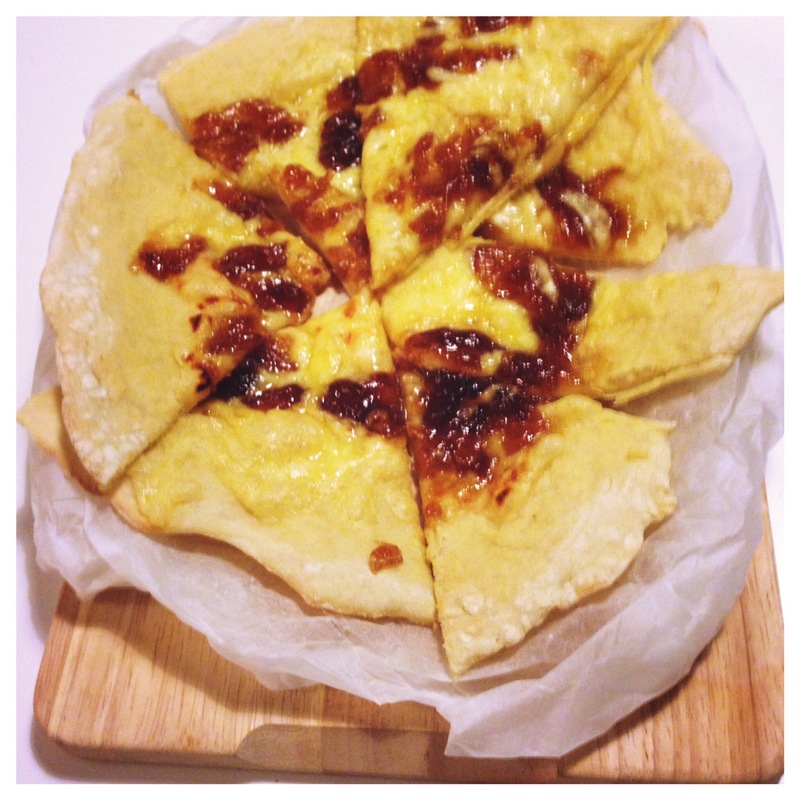 I am going to try and look for some of these “easy roll” pizza bases–though I have never seen them here.